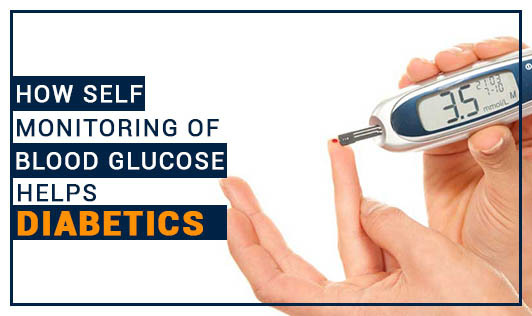 Self monitoring of blood glucose plays an important role in management of diabetes. It helps you know how your body is handling blood sugars at different times. Here is how you can make use of your glucometer results in management of your diabetes. -Record your readings: Make a note of your readings in a log book. Those readings are a valuable tool for your doctor to make decisions about your diabetes care plan. -Compare your readings to your target: Set a target for yourself and compare your readings to see how well you are controlling your sugars. • Did I change my exercise? • Am I exercising more? • Did I forget to take my medication/insulin or take it at the wrong time or take it less or more? • Am I taking new medications? • Do I have an illness or infection? • Your blood sugar readings are over 180 mg/dL for 2 to 3 days and you can't explain why. • You are type 2 diabetic and you get a blood sugar reading over 300 mg/dL on one occasion. • You are type 1 diabetic and get a blood sugar reading over 250 mg/dLwith ketones in your urine on one occasion. • You have several episodes of hypoglycemia. • You have questions/concerns about your blood sugar readings. Being aware of your blood sugar readings puts you in control of your diabetes.